Now that our son is getting more involved in playing sports, I am always looking for great places to purchase sporting equipment. 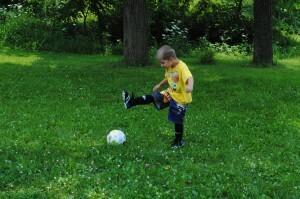 He is now into soccer and he can’t wait until practice starts. He’s only 5 years old and we have problems sometimes finding the right equipment for him because he has little stick legs. Finding where to buy his shin guards wasn’t as easy as I thought it was going to be! 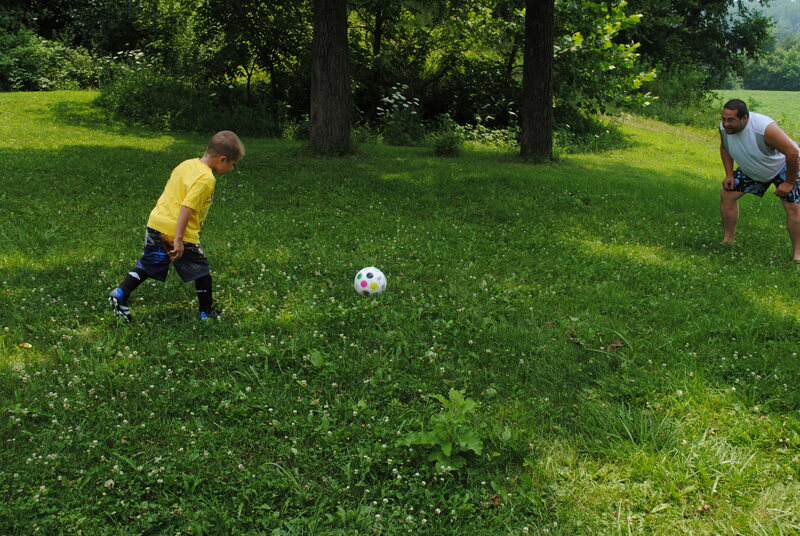 Our kids have a couple soccer balls that they play with from time to time but what I didn’t realize is that there are different size soccer balls depending on the child’s age. It really wasn’t until I received the opportunity to work with Fair Trade Sports on a review that I learned about the different sizes. They offer a great selection of sports balls for different kinds of sports and provide all the information that you need if you have no idea what you are looking for. I was sent a Size 3 Dots Soccer Ball from Fair Trade Sports for our use and review. Before I get into talking too much about this wonderful and colorful soccer ball, I want to tell you what else I like about Fair Trade Sports. First of all, Fair Trade Sports sports balls are eco-certified, certified fair trade, and vegan! The other great thing is that all after-tax profits goes to children’s charities! How wonderful is that?! I think it’s amazing what they do and they offer a lot of great sports balls. You can even order custom ball designs for your organization! Now on to the Dots Soccer Ball. This ball is made with synthetic leather and latex bladder. This allows for great bounce and shape of the ball. When I pumped air into it after we received it, it was really easy to shape it and it kept it’s shape too even after all the beatings it gets from our son! There are 32 panels on the ball which is compliant with international ball standards. I love all the different colors on the ball and so do my kids. I think it’s a great ball for younger kids and I love that it says RESPECT across the ball. It’s one of the major things we teach our kids and it’s really great thinking for a sports team in my opinion! The Dots Soccer Ball from Fair Trade Sports is a size 3 ball. What does that mean? Well, size 3 is a training size for kids under the age of 8 years old. If you aren’t sure what size to get your child, Fair Trade Sports has all that information for you. Size 4 is for ages 8-12 years and Size 5 is for 12 years and older. Again, the Dots Soccer Ball is a Size 3 ball. he loves heading outside to practice with it. It is the perfect size and I love how it is compliant. It’s a really great quality too. Like I said, it holds it’s shape really well. We haven’t had to re-shape it or anything. We haven’t even had to put any more air in it since the first time after we received it. 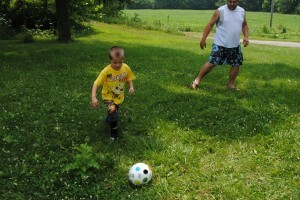 Overall it’s a really great soccer ball for the youngins learning to play the game! 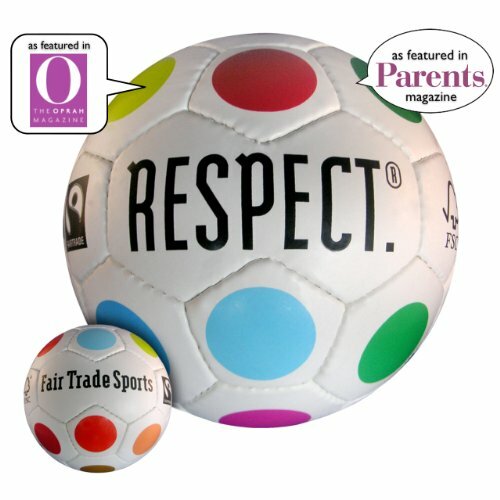 Buy It: Visit Fair Trade Sports to buy your Size 3 Dots Soccer Ball for $34.99 (list price $44.99). If you are looking for another sports ball, be sure to check out what all they have to offer! Win It! 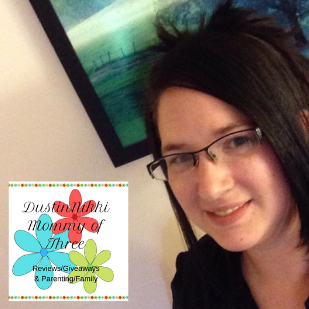 Big thanks to the company for allowing me to host a giveaway so that one of my lucky DustinNikki Mommy of Three readers can win a Size 3 Dots Soccer Ball for themselves! *Share this giveaway on Facebook. Feel free to just hit the “post to facebook” button (it’s not the “like” button) at the bottom of my post. make sure to leave the link to your post in your comment so that I can check. (1 entry) One time entry unlike tweeting. *Tweet about my giveaway and leave a URL of your tweet in a comment so that I can verify your tweet (1 entry and can be done once daily) Leave a comment with URL each time you tweet. You can use the example below or use the twitter button at the bottom of my post. If you use the button, my hashtag @dustinnikki should already be included in your tweet. If you use the tweet button, please include hashtag @fairtradesports in your tweet. Giveaway is open only to the US. Giveaway will end August 23 @ 11:59 PM (EST). Winner will be chosen using random.org. Winner will have 48 hours to respond after I contact via email. If winner does not respond, a new winner will be chosen. Good Luck! 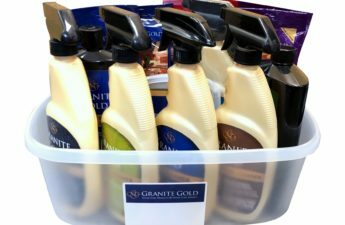 GourmetGiftBaskets Deluxe Camp Essentials Care Package Winner! I entered the Pocket Purifier giveaway. The Eco Basketball is a favorite. I entered the Midwest Monkeys giveaway. I entered the Twin Sisters giveaway. I entered the Funrise Toys giveaway. I entered the Dapper Snappers giveaway. I voted for you at “We’re on the Fence!”. I follow your Feed on My Yahoo. My grandson is four years old & has just finished “soccer camp” & he loved it. 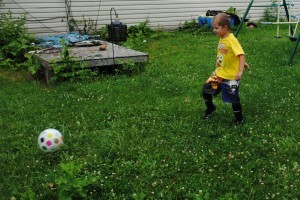 The Eco Soccer Ball – Club (Size 3 Dots)would be the perfect ball for him to have of his very own. Like Fair Trade on FB as well. 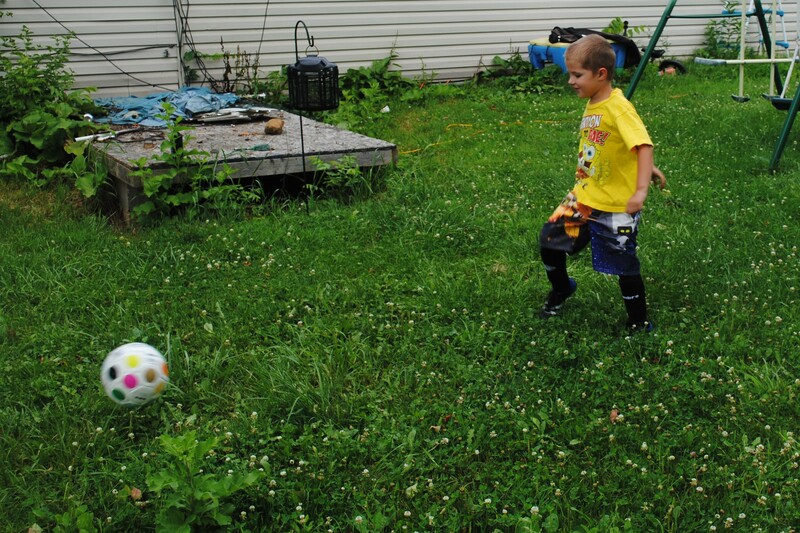 My niece would also love the Eco Soccer Ball – Club (Size 3 Flowers) since her big brother plays soccer. I entered the twin sisters number puzzle giveaway. 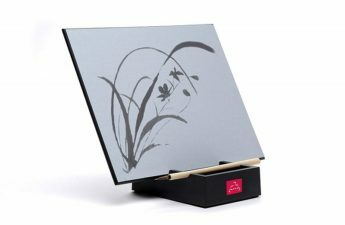 I entered the Hapari giveaway. I entered the yoyo lipgloss giveaway. I entered the fun tinti bathwater giveaway. I entered the let’s go play cd giveaway. I follow fair trade on twitter (hifam). I follow you with gfc (psychdog) and I think the eco basketball is a great product. 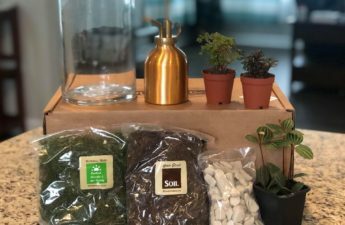 I like the idea behind this company. I like the fitted crew neck t-shirt which is made of 100% preshrunk cotton. A product I like is the Eco Football. I’m a follower on GFC. I like the Eco Basketball.